I am dipping into the archives today because the article is exceptionally relevant, at least to me with the rise of Donald Trump and the real possibility that he could become President of the United States. That is something that based on his lack of character, his bellicose threats against civil liberties, his disregard for the Constitution, and his exceptional narcissism and what I believe is psychological instability, frighten the hell out of me. It is with that in mind that I repost this article. This is one of those uncomfortable posts to write partially because I know that some people will take it completely wrong or ascribe meaning to it that I do not intend. I by training am a military historian, probably better at that than I am theology. One thing that fascinates me in the study of military history is the actions of men in the face of evil and the meetings of such people at the intersections of where military and government policy intersect. It is a timeless theme. The bulk of my study until the past few years was the German Army, particularly that of the Weimar Republic and the Wehrmacht to include policies, leaders, political attitudes and behavior in war and peace. Thus it makes sense for me to look at Colonel General Ludwig Beck who held the post of Chief of the German General Staff during the early part of the Nazi era. Ludwig Beck is one of those characters in military history that makes professional military officers uncomfortable. Beck is not the perfect example of righteousness nor was he always correct in things that he supported. As an artillery regiment commander he defended the rights of soldiers and officers to be Nazi Party members though he himself was not one. 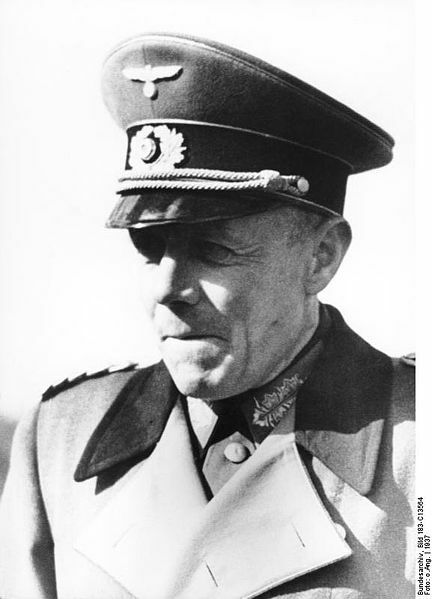 He, like many military officers was a conservative military officer by nature and became Chief of Staff of the Wehrmacht in 1935 two years after Hitler’s ascension to power. Taking office Beck was troubled by some Nazi policies but not by the need for Germany to expand to areas that it had once controlled, he opposed the plan to attack Czechoslovakia not because of any love for the Czech state which he desired to be eliminated, but rather it being a war that Germany could not win. He resigned from his position a Chief of Staff in 1938 when he could not persuade the rest of the General Staff to resign in protest over Hitler’s plan which he felt would be disastrous for Germany. Had the western powers led by Neville Chamberlain not caved at Munich it is likely that the Germans would have suffered badly against the Czech army and fortifications and with the entry of France into the war would have suffered a defeat that would have ended the Hitler regime. In fact German officers who saw the extent of Czech preparations on the frontier following the Munich deal were greatly relieved that they did not have to fight their way into the Czech state. After his resignation Beck played a key role in the resistance movement. He was involved in the planning for a number of attempts on Hitler’s life. Yet it was his leadership in the July 20th 1944 attempt on the life of Hitler that ensured his place in history. With Colonel Klaus Von Stauffenberg and others in the General Staff at the Front and in Germany he acted to avert further destruction in Europe and the certain destruction of Germany. The plot, Operation Valkyrie was marred by poor execution and failed to kill Hitler of seize power but for a few hours. The planners had left too much to chance and once Hitler had restored communications the coup attempted ended swiftly. Had the attempt succeeded Beck was in line to become either the leader of Germany or the Head of the Army. Instead while being interrogated after his capture he took his own life depriving Nazi leaders of the ability to put him up for a public trial at which he would have been humiliated and then executed. 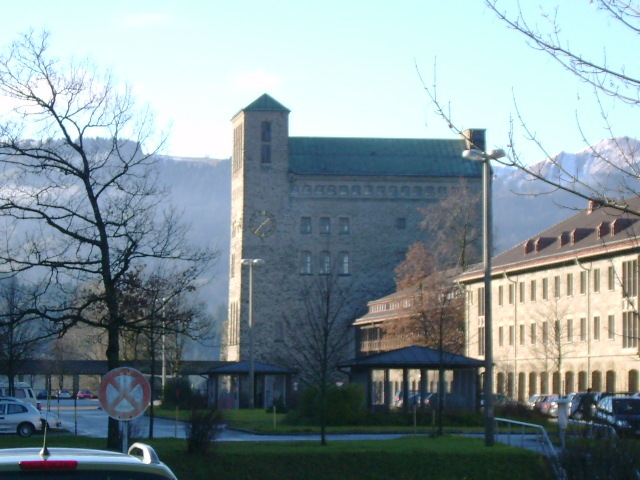 The Kasserne in Sonthofen where the Bundeswehr MP School and Staff School as well as NATO and EU military schools are located is named for him. It is there, ironically a former Adolf Hitler School that his memory and sacrifice is honored by the nation which emerged from the rubble of World War Two. He is honored in a small museum and with a plaque recognizing his sacrifice. The reason that General Beck makes many of us in uniform uncomfortable (and I do include myself) is that he recognized that senior officers, especially those in high command who help set and execute policy cannot isolate themselves in the purely military aspects of the operations. Instead he believed that officers have a higher duty to the constitution and people and not just the military mission that they have been assigned. When he realized that he could not stop Hitler’s invasion of Czechoslovakia he resigned and worked in the obscurity of a small and often divided resistance movement against Hitler. The bulk of the German high command, including many officers idolized in the United States did not recognize the higher duty. Many of these men were consummate professionals who did not support the evil of the Nazi regime and who conducted themselves honorably. Yet they effectively abetted its crimes by not opposing actions of their government that were against international law and morality as well as dangerous from purely a pragmatic military standpoint. The problem is that military officers in any nation, including ours can face situations such as Beck faced. A military’s character is demonstrated in how leaders deal with such situations. Beck recognized the situation early, the bulk of his fellow officers did not recognize a problem until Germany was embroiled in a war that it could no longer win. Even then most could not mount an opposition to Hitler because they did not want to be considered to be mutineers and violate their oath. The potential to abet evil when military professionals bury their heads by planning and executing purely military aspects of a campaign is great. If they ignore questionable policy or even policies that they know that have been judged by the international community to be illegal or immoral, such as torture of prisoners or waging wars of aggression against countries that have not attacked their nation they become complicit in their nations crimes. This was the case with German Officers who may not have committed any personal crime and even tried to mitigate the evils of the Nazi regime were morally complicit in that evil. In the United States the military shows its fidelity by remembering our oath to the Constitution and being faithful to it and the people that we serve. As officers we represent all Americans and not just those of our political party, religious faith or social or economic interests, nor any political leader, faction or interest group within the nation. The Constitution, our military regulations, traditions and the Uniform Code of Military Justice are the standard by which we operate and by which we conduct ourselves and tools that protect us when policies or actions taken by the government or people within it violate those codes or international law. The UCMJ makes it clear those officers who take part in, plan or a complicit in illegal actions in war are committing crimes. When a nation become involved in wars which are non-traditional, revolutionary wars or insurgencies that barriers to professional conduct can be broken down. The Mai Lai massacre committed by 2LT William Calley’s platoon with the certain knowledge and maybe even approval of individuals in the chain of command is one example as were the uncontrolled chaos of prisoner abuse and torture at Abu Ghraib. Times are difficult and we do not know what the future brings. Stress in societies caused by economic conditions, natural disasters, lawlessness on the streets and divided and ineffective governments sometimes remove the moral restraints of the society and even affect the military. One sees this in Weimar Germany as well as the 4th Republic in France which had to deal with post World War II economic difficulties, exacerbated by recriminations of political opponents for actions the others did during the war while France was occupied by Germany as well as the wars in Indo-China and Algeria which further divided the nation and the military. It is in stressful and uncertain times that officers have to be men and women of principle who always uphold the highest traditions of their military as well as be the voice of conscience when governments, political parties, special interests or leaders begin to violate international norms in the conduct of war. Beck was not a perfect officer. He supported some of Hitler’s policies until after his resignation but like much of the resistance believed that the Nazi regime could only end up destroying Germany. It is important to remember that like Ludwig Beck that officers do not need to sacrifice their honor to be faithful to their oath.